Sponsored Post: Financial compensation was not received for this post. A sample product was gifted from Oriental Trading. Opinions expressed here are our own. Spring is my FAVORITE time of year. 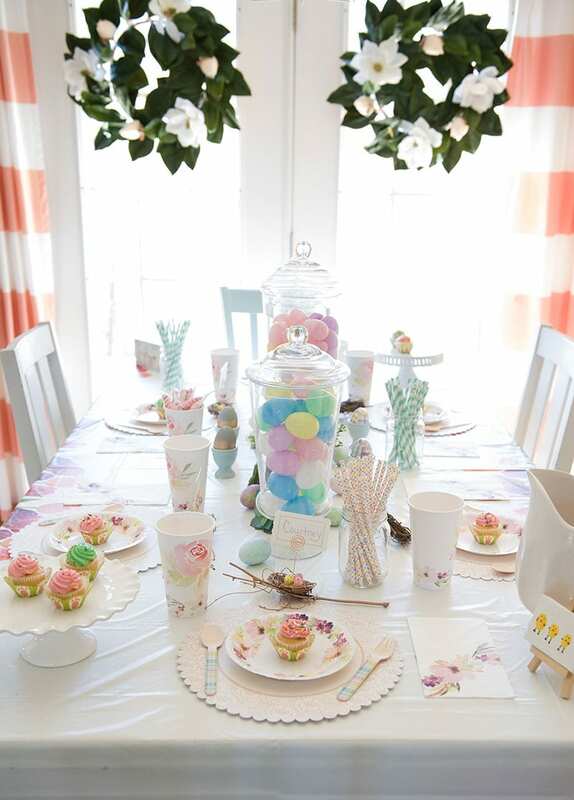 I have an Easter party every year, so this year I wanted to have a small sit down brunch with my friends and their families. 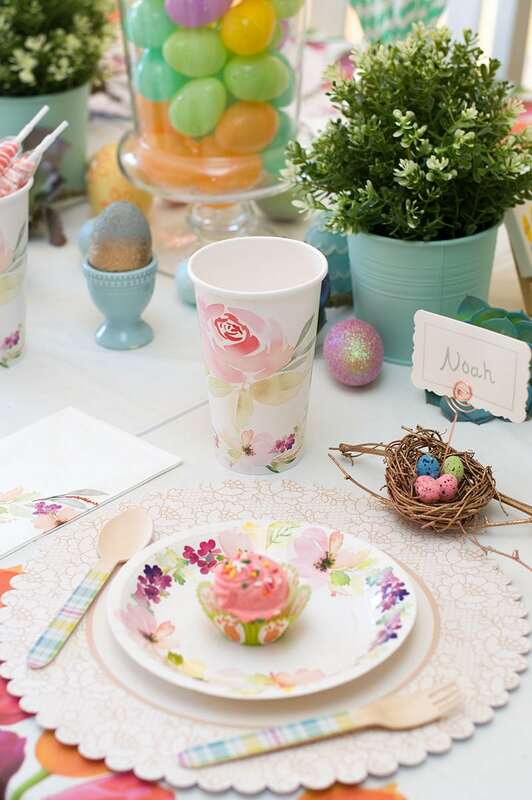 I found some beautiful tableware for Spring that I had to use for this gathering. Creating this tradition with my friends has been a wonderful experience and making great memories for us and our kids together. This year I decided to have a little more of a grown up feel with the decorations. 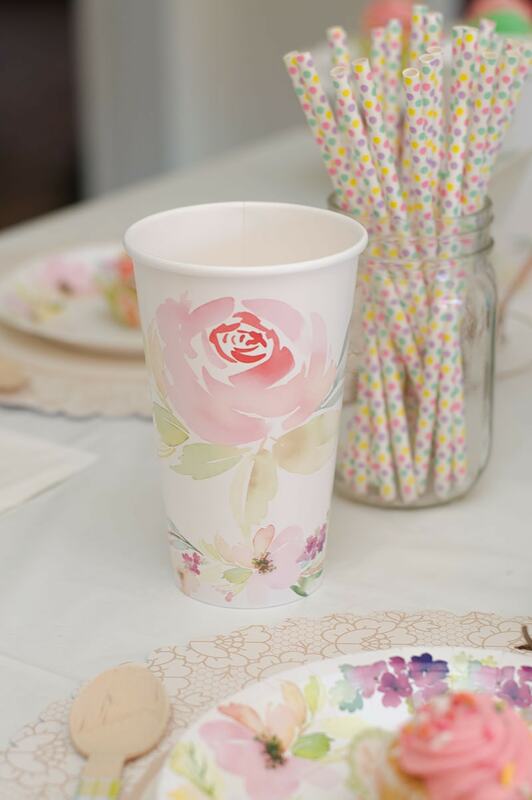 That’s why I choose the watercolor plates, cups and napkins. I knew it would be easy to pair it with items I already had around the house and some things I’ve already made. Since we have a huge group, we always have a potluck for our gatherings like these. This year we decided to have a more of a brunch feel. 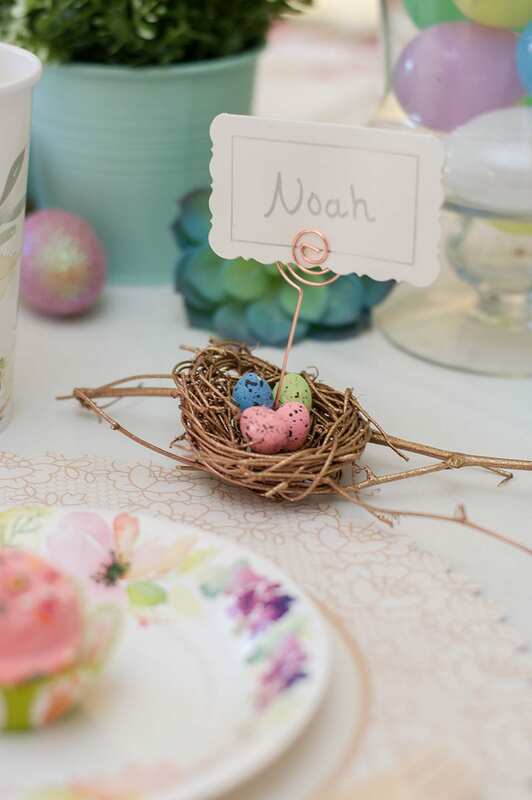 I’ve actually never made place cards before, so this year I really wanted to try that craft out. I think it’s a great touch for the table, don’t you? Not everything needs to be store bought for your parties. That’s the great thing about a DIY party is making some things yourself! 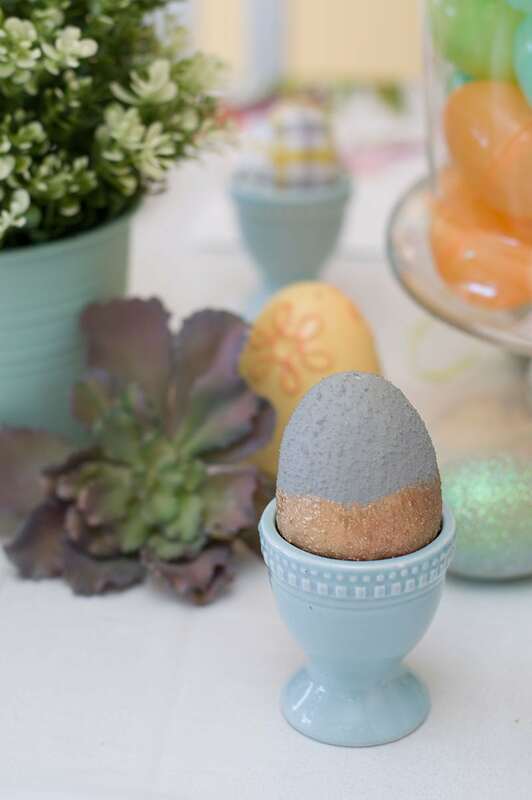 One of my most recent projects I did were these “Faux” concrete eggs, I made for FloraCraft. My son wanted to add a craft project to the table I pull out every year. 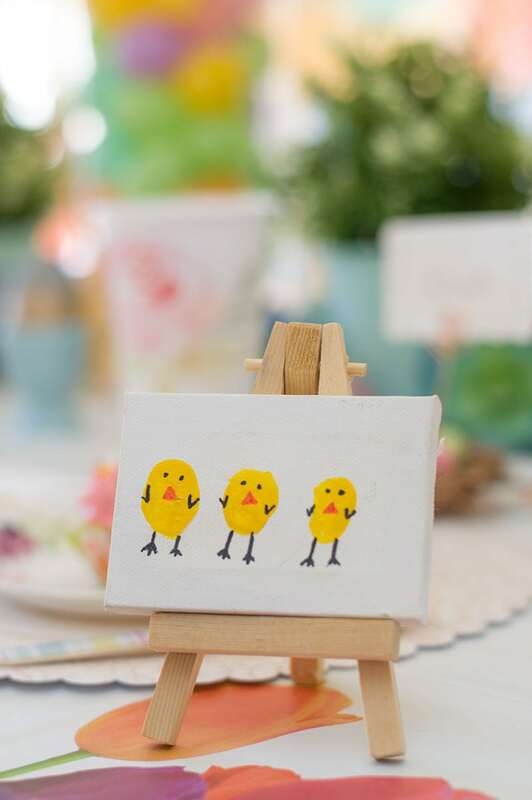 Thumbprint Easter Chicks, this was one of my first projects I did for the site and still one of my favorites! 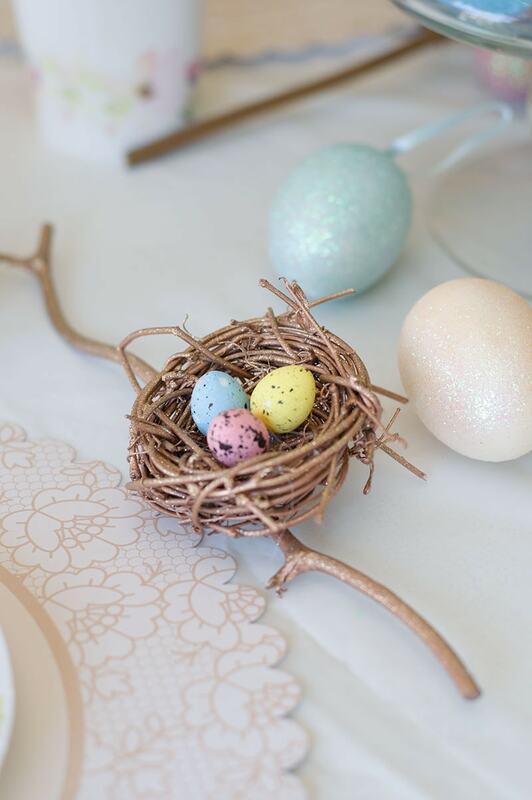 The plastic Easter eggs are always a great touch when decorating. They are so inexpensive and go a long way. You can make a wreath, fill jars or even just lay on the table. Of course we had to use them for the Easter Egg Hunt! 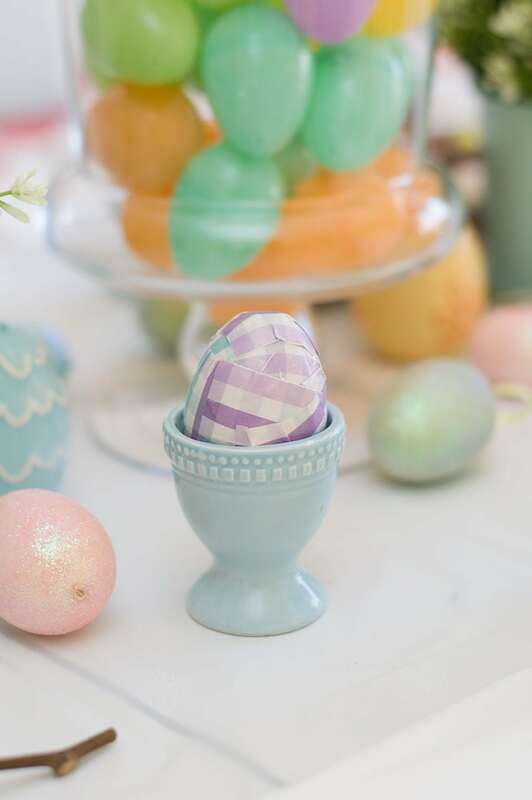 Sometimes we color eggs, but this year we decided to fill plastic eggs up with goodies. My boys always like to find money in their eggs. 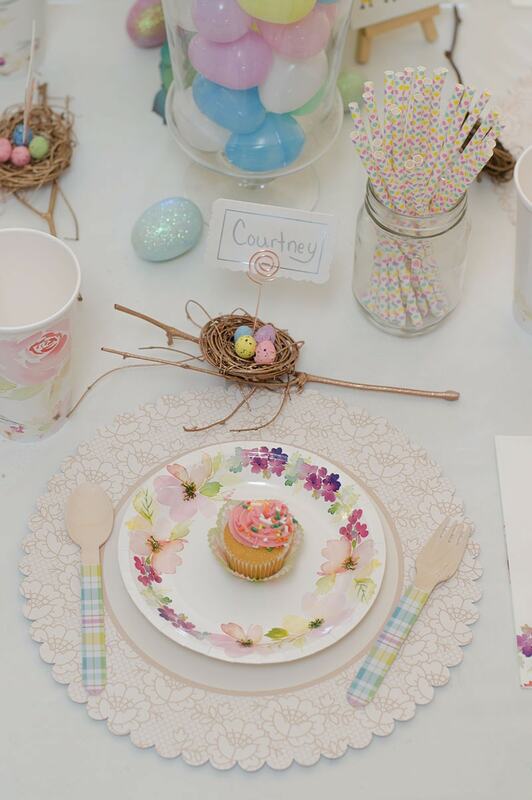 I hope this party table gives you some great ideas for your Easter table setting this year! I can’t wait to set this table up again on Saturday for our BIG party!! 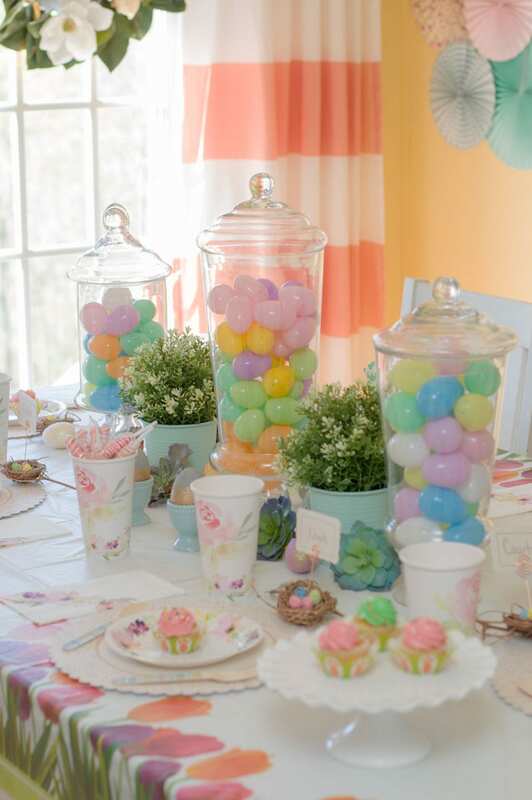 Looking for more DIY Party Ideas?? 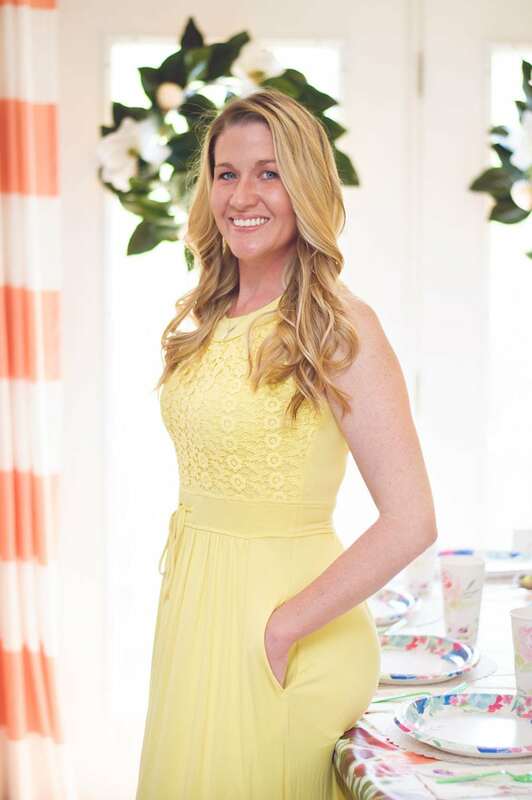 Then check out my party section on the blog!